Samsung has finally started rolling out the Android 4.1.2 Jelly Bean firmware update for the T-Mobile variant of the Samsung Galaxy S3 with the model number SGH-T999. Users of the T-Mobile Galaxy S3 can officially update their device through Samsung Kies or by using Over-The-Air (OTA) updates. Samsung Galaxy S3 (T-Mobile) SGH-T999 users who have already updated their devices with Android 4.1.2 Jelly Bean, may root their devices using the tutorial below. This tutorial uses CF-Auto-Root file released by recognised XDA Developers, Chainfire. The CF-Auto-Root file allowing Galaxy S3 users to root their devices easily without depending on the firmware. It completely supports Android 4.1.2 Jelly Bean and future firmware as well. 1) Install USB Driver for Samsung Galaxy S3 on the computer. 2) Enable USB Debugging Mode on the phone by navigating to Settings >> Developer Options (Android 4.0 or later) or go to Settings >> Applications >> Development (Android 2.3 or earlier). 4) Ensure the battery of the phone is charged more than 80 percent. 5) The CF-Auto-Root file works only on Samsung Galaxy S3 (T-Mobile) SGH-T999. Applying this to any incorrect variant might brick the device. Verify the model number of the Galaxy S3 by navigating to Settings >> About Phone. Step 4: Connect the Galaxy S3 to the computer using USB cable while it is in the Download Mode. Wait until Odin detects the device. When the device is connected successfully, the ID: COM box will turn blue with the COM port number. Additionally, the successful connected will be indicated by a message saying Added. Step 8: Once the installation process is completed, your phone will restart and soon you will see a PASS message with green background in the left-most box at the very top of the Odin. You can now unplug the USB cable to disconnect your device from computer. Samsung Galaxy S3 (T-Mobile) SGH-T999 running on Android 4.1.2 Jelly Bean firmware is now rooted successfully. You can now install any app that requires root permission. Verify the root status of the device by downloading Root Checker app from Google Play Store. 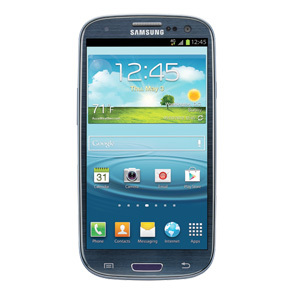 Click here to know How to Update Galaxy S3 (T-Mobile) SGH-T999 with Android 4.1.2 UVDMD5 Jelly Bean official firmware. Will hotspot still be locked by t-mobile with a rooted phone through this poocess? What about saving a backup copy of the original image begore this process in case something goes wrong? No this does not unlock the tethering. If you have t mobile's new plan with no contract ( which everyone will be moved over to soon). Tethering is automatically included at no extra cost and is tied to you normal data pool. Call Customer support to find out what plan you have. This Plan is the one where its $50 a month for unlmtd Talk + Text and 500 mb of Data. then the second line is $30 and the third and other lines would be $10 each. Extra $10 a month for 2.5 gb of Data. Just did it - thanks so much it was very easy! I want to know if this really works ? What is an ID: COM box ? Im just scared it won't work & my phone is going to crash. I just got it too !! The red is where you click and browse to the dtmo file as mentioned above, yellow is the ID: COM box, blue is where the added message will be, green ins the two checkboxes that MUST be checked, and purple/green is the one that MUST NOT be checked. The rest leave as-is. Is it nesessary to use a computer in order to root my Galaxy S3? Will it work with wind mobile? Awesome! Had replacement sent to me 8/6/2013 and it worked with the (as of then) latest firmware without any issues. CM 10.1 here I come!!!!!! Fantastic. When I first did it, the upper left window said "RESET" not "PASS"...but by the time I'd loaded google play to run root check, it said "PASS". I have t-mobile and I am grandfathered into the unlimited plan with unlimited talk text and data...which is something t-mobile no longer offers...Does this mean that I can use my phone as a hotspot? CF-Auto-Root doesn't include a custom recovery. You can install it manually using ROM Manager app. will rom manager definitely install on clockwork mod on tmobile gs3 with out any problems with the the new update n all!!!! I did it and the when I am flashing it, the installation stops at "setupe connection" is that normal? Hi, I run all your guide on my SIII, SGH-T999, 4.1.2, but the result in ODIN was FAIL! There is a reason for this? Thanks. Will this work for Mobilicity.